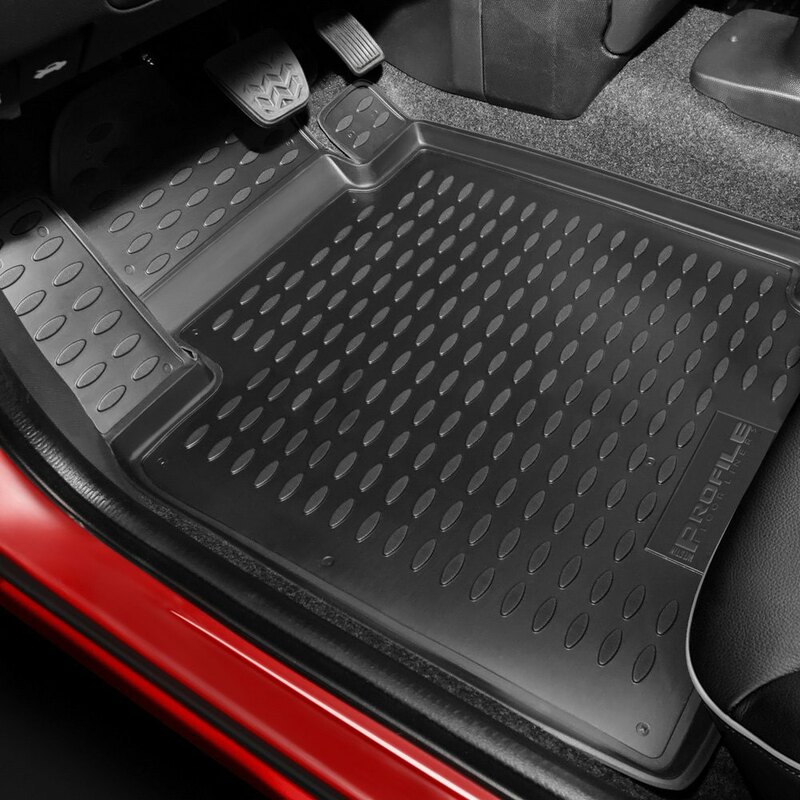 Profile 1st Row – Footwell Coverage Black Floor Liners by Westin®, 2 Pieces . Westin Profile floor liners protect vehicle carpet from daily wear and tear. Made of flexible, durable and odorless rubber. Easy to clean with soap and water. Westin designs contour to your vehicle’s floor area and protect the carpet from extreme wear and tear in tough situations. Featuring a raised, textured surface that provides strong traction, Westin’s Profile Floor Liners give you the precise fit you want and maintain their shape in both extreme heat and cold. Trust Westin to take your ride to the next level with the distinct look and heavy duty protection you need!